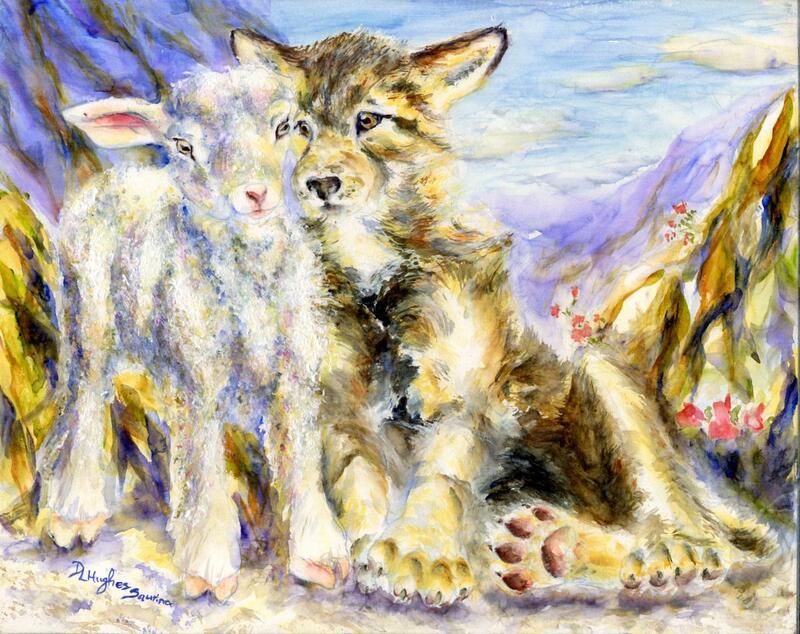 This touching image was inspired by a verse from the book of Isaiah, "The wolf will live with the lamb...". It describes a future when all peoples will be called together to God, all differences unimportant. The Bible teaches that Jesus will return someday to gather his people in love and grace. 5" x 6.25"7" x 8.875"9" x 11.375"11" x 13.875"13" x 16.375"